How do you choose your CRM software? There are a variety of single reasons why companies decide they may require the use of sales CRM software, but there are also a combination of reasons for that decision, and more importantly, how that decision is made. A sales CRM will allow company CEOs and CFOs to take a ‘future view’ of their revenue prospects. A well-chosen CRM will allow an insight into future trends, potential revenue sources, and possible pain-points gathered from the CRM’s analysis functionality. Sales managers and sales teams will consider their CRM implementation process from a slightly different perspective. Their need is to manage the day-to-day functionality of the sales process, to capture leads automatically and to save time, convert leads to deals, close deals, and to track all stages throughout the complete sales pipeline. Also, the information gathered during the various stages of the pipeline is vital for future business generation and the successful visual analysis of performance. Marketers will tend to choose a CRM which allows for harmonious interaction and cooperation with the sales department, in other words, ‘smarketing’. A customer service manager will want to choose a CRM which closes deals effectively, is fully adaptable to ever-changing sales circumstances and time limits, and one which leads to an improved connection between company and client, and also allows for upselling to valuable clients. However, it is also vital to talk with all those who will be involved in the final implementation, the end-users. These are the ones with the real information and who are qualified to offer their input in a highly significant manner. Where do I start my onboarding process? 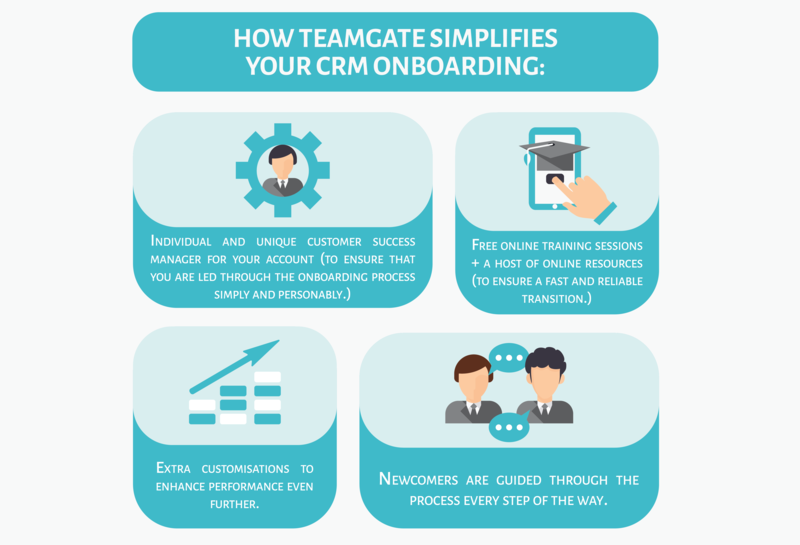 You wouldn’t buy a car without taking a test-drive, or a house without a thorough examination, the very same reasoning applies to your CRM onboarding process. Before you choose the correct software for you, your company and your sales process, you’ll want to be sure that the product is suited exactly to your particular needs. But how do you do that? Firstly, before you begin your onboarding process you are going to want to do some serious research on any problems in your sales pipeline which you are attempting to correct – or trying to avert completely in the first place. This will entail identifying pain-points associated with lost leads and deals, bottlenecks in the sales pipeline, or the inability to source the correct leads in the most time-saving manner. Once you’ve done that it’s time to browse the CRM options available. The length of time it will take to integrate your new online CRM software should be a major factor in these considerations. The more time it takes to integrate and onboard your CRM the longer it will take to make your new resource pay its way. 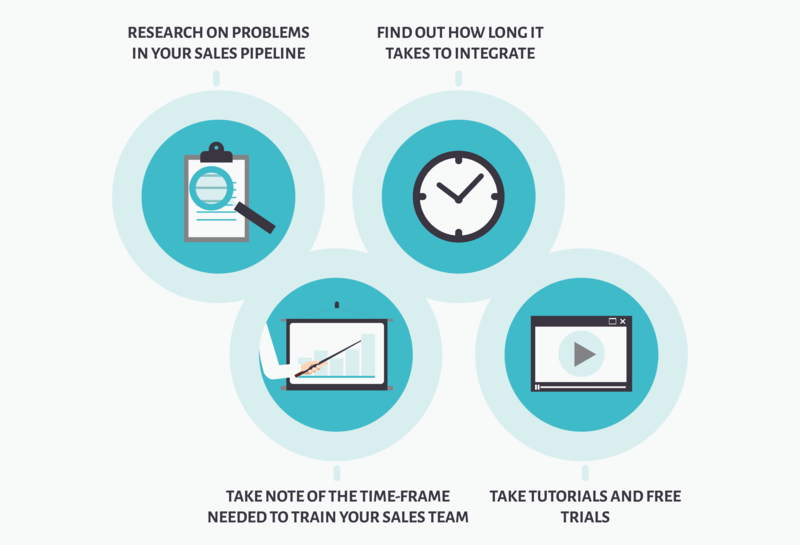 Another major consideration is the time-frame needed to train your sales team. The level of complexity of your chosen CRM can have a major bearing on your salespeople’s willingness to accept or reject a successful onboarding process. Your salespeople are the ones who have to be most comfortable with the new CRM, so they should be the ones at the core of your considerations. The last thing they need is an additional burden to deal with while attempting to do what they do best – namely, sell. It’s recommended that you and your salespeople take the time to avail of as many online tutorials and free trials as possible during the selection process. The Teamgate Sales CRM offers comprehensive free trials, with the full attention of their highly-qualified customer support agents on-hand to lead you through the process. It is only through trials and hands-on experience of the CRM’s functionality can you fully appreciate how it can enhance your whole sales process. Who is the onboarding process final decision maker? At the end of the day someone has to make the decision about which Sales CRM is right for any organisation. Whoever makes that decision has to be absolutely sure that they’ve made the right choice to benefit the whole organisation and its future. The person responsible for the decision will invariably be responsible for the sales process; the company CEO, sales director, BDM (business development manager), marketing manager – however, whatever decision made could be in tandem with the head of the IT department, sales manager, or chief operations manager, and sales team. 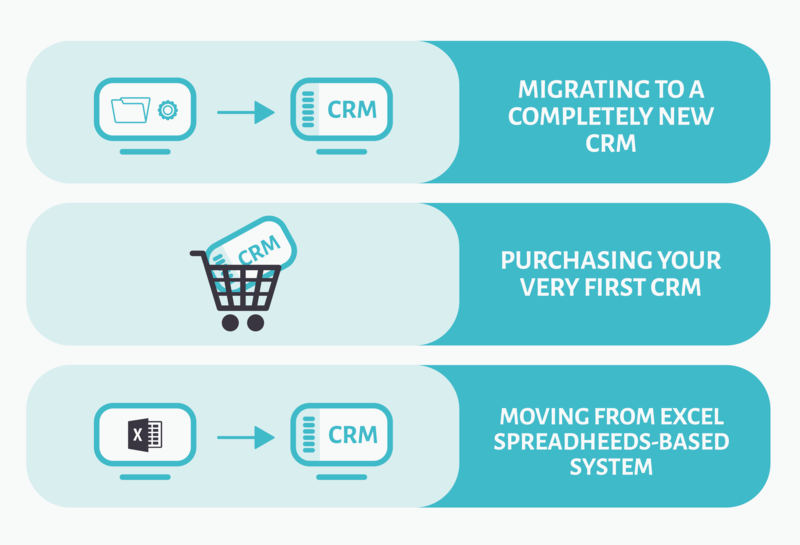 The decision you have to make may be simple, or, you may have to choose between migrating to a completely new CRM, taking the step of purchasing your very first CRM, or the process of moving from an Excel spreadsheets-based system. If your decision is one of migration it should be obvious that problems already exist within your present CRM. Following on naturally from that realisation you will need to look at a new CRM which will address your concerns and provide the appropriate solutions. Teamgate CRM has consistently led the way in providing these solutions for companies who have become dissatisfied with their old methods. By constantly liaising with clients Teamgate have been able to adapt and evolve and to design and provide appropriate solutions to problems, sometimes before you even realise a problem might exist within your sales pipeline. However, no matter how smart your new CRM may appear the question remains; how difficult will your end-users find the whole onboarding programme? With Teamgate it couldn’t be easier. The product is intuitive, smart, simple to use, has a feel of familiarity and a customer care/support team there to help you through any teething-problems. If your choice has been to migrate from Excel you’ll be happy to know that Teamgate simply imports all of your important, and hard-earned data, allowing you to continue your sales process almost seamlessly. You may also find an easy means of importing your data to Teamgate from an existing CRM. No matter how simple any new system is to get used to, you will most likely have teething-problems. That’s why the Teamgate customer success management team are there you guide you through any queries or concerns you may have. Teamgate’s customer success management team are there to help you in a way which suits you best; via email, live chat, phone, or video call. Now that’s service. 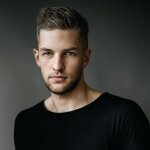 When starting out with Teamgate you are allocated a dedicated individual and unique customer success manager for your account, to ensure that you are led through the onboarding process simply and personably. Teamgate will also provide you with free online training sessions, plus a host of online resources to ensure a fast and reliable transition for your success. For advanced users certain extra customisations can be applied to enhance performance even further. Newcomers will be guided through the process every step of the way. The first steps of onboarding with Teamgate is getting to know the terminology that you will use on a daily basis to make selling simpler and more effective. Don’t worry, it’s nothing to be scared of; in fact, we’ve simplified the process so much you won’t even realise that you’re learning. This is where you’ll learn the difference between leads, deals, people and companies. Sounds easy eh? You’re right. In addition, you’ll also learn the best-practices and insider tips and tricks to get the best value from your CRM on a daily basis. Next up you’ll learn how to import data from your existing files or database. The process has been simplified within Teamgate allowing you to recapture all your valuable information in a more organised space and also allowing you to use the data to start selling immediately. You will learn how to integrate Teamgate – using WordPress forms – with your website to gather valuable new leads and generate potential new business. From the outset you will already know the stages of your sales pipeline. Through the settings and customisations functions you can fine-tune all stages of the pipeline, creating and saving all the necessary information relevant to suit your particular needs. Through the roles management function you may allocate owners and collaborators of leads, and or deals, ensuring information is always available to the right hands when needed. With every marketing campaign, contact, lead, or deal won or lost, a vast amount of valuable information is gathered. Teamgate provides sales managers with intelligent reports and analysis which decipher this information into extremely useful reports, charts and insights, allowing for better sales forecasting and projections, and analysis of past cycles and performance results. This in turn allows attention to be turned to areas of blockage in the pipeline and stages requiring tweaking or improvement. By means of a multitude of multi-functional integrations – Mailchimp, Zendesk, Twilio, Quickbooks, and a host of others – your Teamgate CRM evolves to become more than just a sales tool, it becomes the workhorse of your whole sales process; allowing multiple, time-saving functions to simplify the complete sales process. And, as always with Teamgate, our dedicated customer success managers are there to help you with any queries you may have about how to get the very best from your Teamgate CRM experience; from novice salesperson to CEO. Why not take a look today? And we have the awards to prove it!